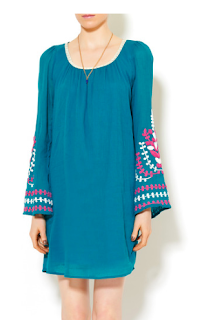 Let's talk tunics. I have a love hate relationship with them. Some people have these amazing bodies that can pull off this completely shapeless item, and I salute you. Some of us on the other hand like the idea of a tunic but need a bit more structure. Today I give you the best of both worlds: two breezy tunic dresses and two more structured options. 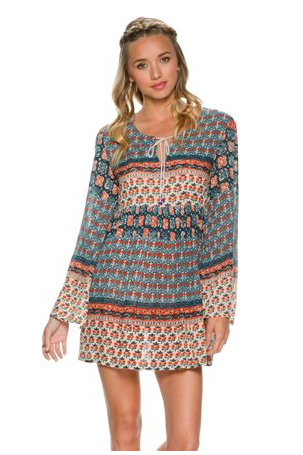 Look at this beautiful printed tunic dress. I love the pattern, the material it reminds me of the 70s trend we looked at a few weeks ago. Now something with some weight to it. Here is a great tunic dress with an even better all over print. 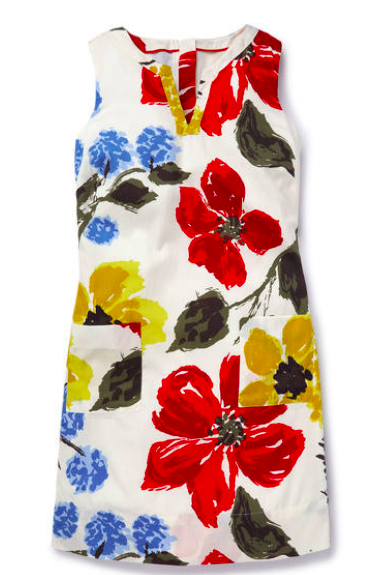 This dress screams summer. I love the scoop neck with a longer necklace and that crochet trim detail is just perfect. And one more time with a bit of structure. Simple and sleeveless, this dress is great for a casual afternoon or dress it up with espadrilles and standout earrings. 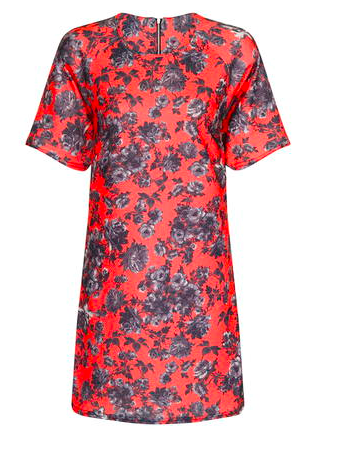 The tunic dress is great because it works for every shape and style, with some effort. Want an easy breezy look, look for a billowy fabric and peasant details. Need a bit more definition? Look for heavier cotton and darting on the back that tapers in.